The T-Board is designed to take you beyond the comfort of the Arduino platform, and get you up and running with your AVR projects. These breakout boards are breadboard-friendly and contain all you need to get prototyping quickly and easily. 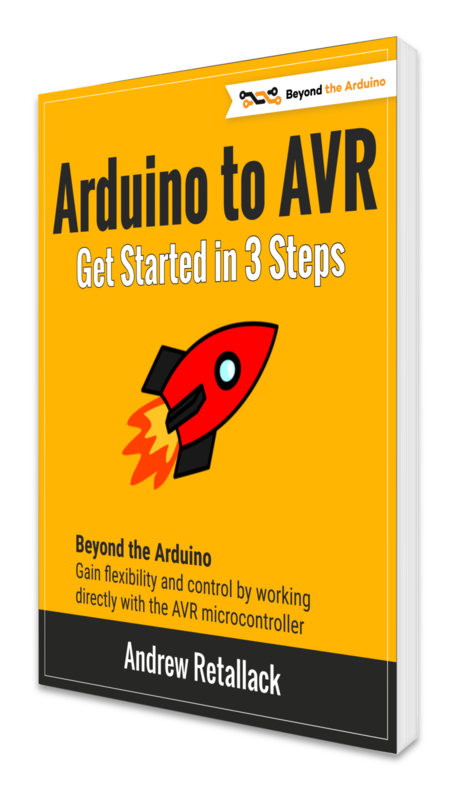 As you progress with your Arduino projects, at some stage you’ll face limitations. 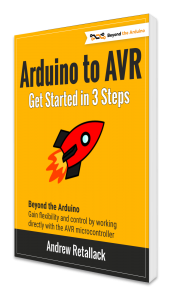 The Arduino platform is a superb way to get started with microcontrollers and embedded systems, and even to roll production versions of projects. But it has constraints. You might want to start placing your projects onto simgle PCBs; you might want to start developing low-power projects; you may need to fit your project into custom-sized containers. Whatever the reasons, at some stage you need to make the leap to working with “raw” microcontrollers. The simplest way to achieve this is using a familiar breadboard to prototype this (learn how to build your own Arduino on a breadboard). Once you start growing your project, and interfacing with other components, you’ll easily end up in a ratsnest of jumper wires. The T-Board is a set of breakout boards to take away the clutter, while retaining the flexibility. Initially we’re working on the 28-pin ATmega328, and ATtiny 8-pin and 14-pin controllers, but look to expand this in the future. Learn more about how the T-Board can make your prototyping faster and easier. 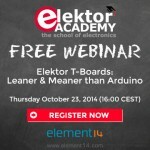 Join the free webinar on 23 October, in conjunction with Elektor and Element14. Register here! 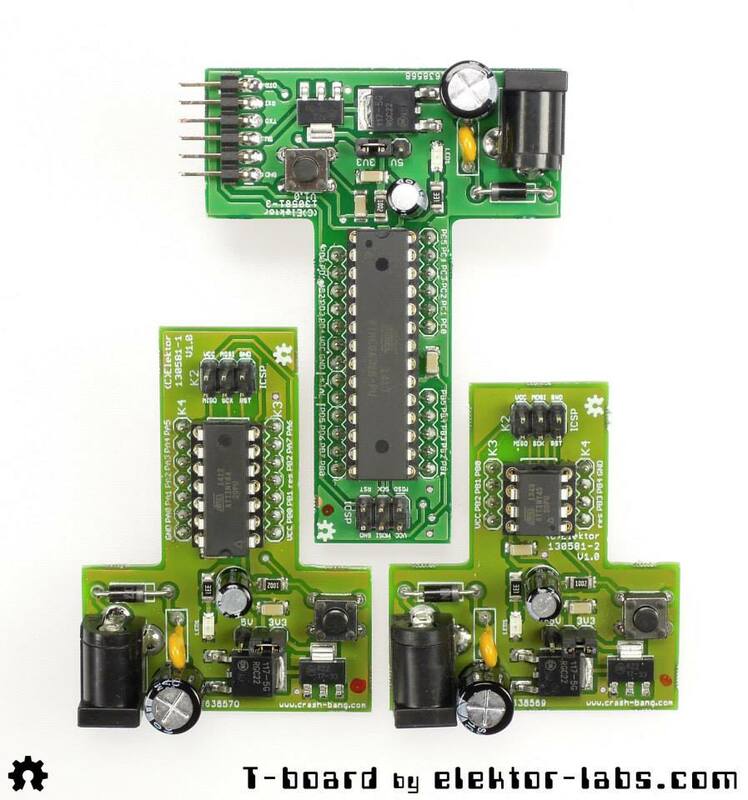 Elektor Magazine and Elektor Labs have been great in supporting the T-Boards, featuring it in their September 2014 edition. They’ve also made them available for sale at their online store. Two-Layer: version 0.2, prototype sent to the fab. The value of Prototyping: version 0.2 is back from the fab. Ready to Launch: the final version of the boards are completed. If the pins of the board would mimic the exact pinnings of the original uC, then the T board could not only be plugged into a breadboard, but also in PCB, where it would replace the uC during development. 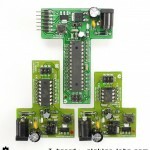 The PCB would not need any pin headers for programming and development related serial communication (in case of 328). Great thanks for the idea. The only challenge I see would be the spacing of the pins as the T-Board footprint is wider than the uC itself.